We all love our puppies and most of us love wine, but we bet you have never heard of this combination before! 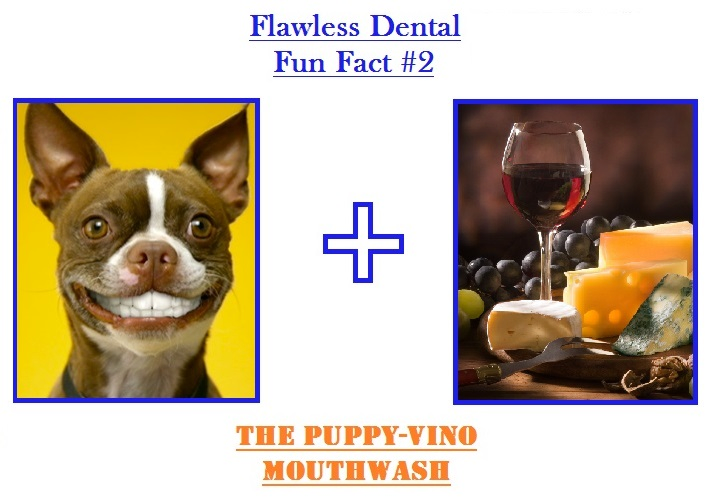 In the Middle Ages, people believed that dog's teeth, boiled in wine, made an excellent mouth wash which could be used for for tooth decay prevention. Bonus Fact: Say Cheese! The calcium and phosphorous found in cheese is healthy for your teeth as it reduces the pH level in plaque and re-mineralizes the enamel.